Eccentric aristocrat Clarence Emsworth (Timothy Spall, The King's Speech) longs for peace and quiet, but his tumbledown country estate is under siege as never before. His terrifying sister Charlotte arrives, his dimwitted son Freddie can't stop causing trouble, and his brother's shocking memoirs threaten to ruin the whole family. 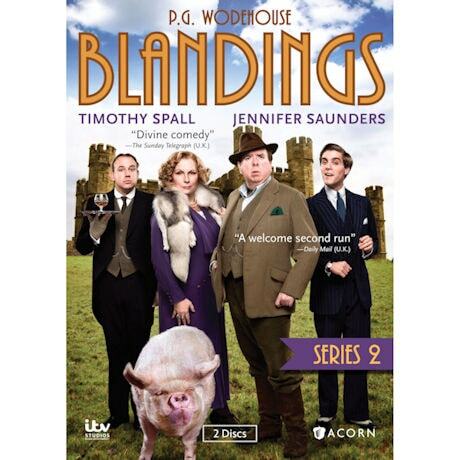 Based on the "Blandings Castle" stories by P.G. Wodehouse, set in 1929, this farcical, thoroughly British series also stars Jennifer Saunders (AbFab) as Lady Connie. 7 episodes, 3 1/2 hrs, 2 DVDs, SDH. The odious Duke of Dunstable plans to have Clarence committed. It's up to Freddie and Beach, Blanding's port-fueled butler, to hatch a scheme that will rescue him. It involves an imposter, two star-crossed lovers - and plenty of eggs. Clarence's terrifying sister, Charlotte, has threatened to move into Blandings - permanently. And if that's not enough pressure, the Empress has some competition in the upcoming fat pig contest. Freddie has an extreme solution to solve both crises. Clarence's younger brother Galahad is at Blandings, penning a scandalous memoir. 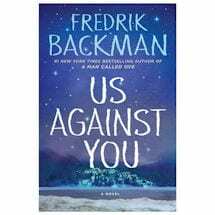 Connie is desperate to save the family name and enlists Freddie's help in keeping the manuscript away from the publisher. Clarence's new beard is an embarrassment, but things are about to get worse. The heating at Blandings is on the fritz when a Hollywood film crew arrives. Freddie immediately falls for the star actress, and only Lord Emsworth can convince her of Freddie's honorable intentions. Colonel Fanshawe is visiting Blandings with a swanky proposition for Clarence, and Connie is desperate to impress. But Beach is asleep on the job - literally. Fanshawe's daughter complicates Freddie's life by stealing his Aunt Julia's dog. Hannibal Didcot accuses Clarence of selling him a fake painting. Connie tries to distract Hannibal with a wealthy American heiress who is visiting Blandings. And Clarence's brother Galahad has his own plan to teach the bully Hannibal a lesson. Fed up with her troublesome nephew, Connie plans to marry Freddie off to Sir Gregory's peculiar niece, Felicity. But plans are complicated when Clarence refuses to give up a prize pumpkin as part of the deal.